BONUS items will be mailed throughout the length of the series (May-October). Example of item available at the April 9th Kick-Off at Big Peach - come check it out! 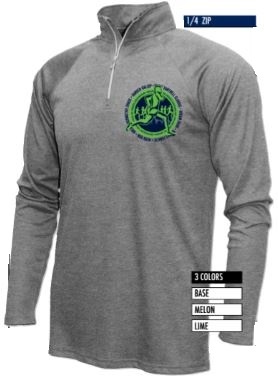 Get your exclusive KGPRS Runner's Item - a slick-looking 1/4-zip shirt!